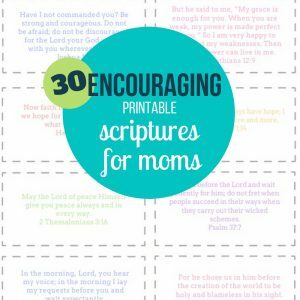 Inside: These 30 encouraging scriptures gave me hope, encouragement, and strength during difficult times. I pray they do the same for you. 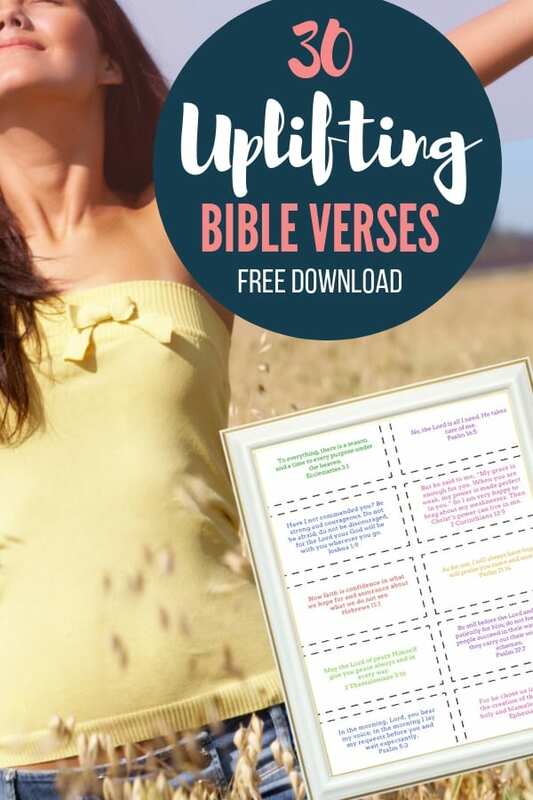 Print the encouraging scripture cards for free. I recently received a new Bible as a gift. I’ve wanted a physical Bible that’s small enough to fit into my purse yet have words I can still read. And oh yeah, I wanted it to look cute. 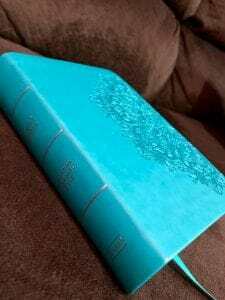 A tall order, but I received a small teal Bible, and I’m pretty pumped about it. In the past, I used the Bible App on my phone and never cracked open an actual Bible. I have nothing against Bible Apps. I merely wanted to spend less time on my phone and have my quiet time away from all electronics. However, my new Bible is missing all the verses I marked, highlighted, and noted in my Bible App over the last seven years. Those years have seen me through heavy times, and the verses I’ve highlighted are ones I don’t want to forget. They’ve gotten me through a divorce, bouts of loneliness, and loss of loved ones. 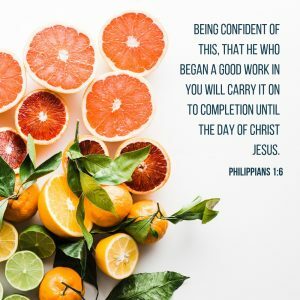 As I made a note of those precious verses that brought me out of some deep pits into my new Bible, I wanted to share them with others who may be going through their tough times. As you’ll see below, different versions are listed. Since I used an online app, I had the advantage of switching back and forth through various versions over the years. I left the version annotation, so if you look it up in your Bible you’ll be able to tell which version you can find it in. 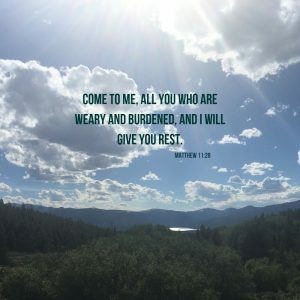 These specific verses gave me hope, encouragement, and strength. I pray they do the same for you. Hang the scripture cards up wherever you need encouragement: your mirror, Bible, work, etc. Cut the scripture cards out and find the ones that speak the most to you right now in this season. Pray these over your life. Below you’ll find 30 scriptures for 30 days – pray through one scripture each day of the month. Consider memorizing the scriptures that hold the most meaning for you. Print multiple copies of those scriptures. Put your phone to work for you – set a timer to remind you to read a specific encouraging scripture or place your favorite scripture as your phone screensaver. Journal about a different scripture below each day or incorporate it into your daily prayer. 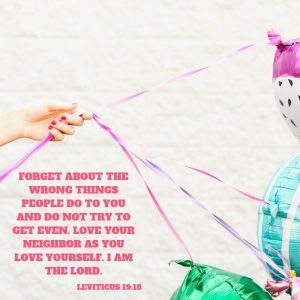 Leviticus 19:18 NCV: Forget about the wrong things people do to you and do not try to get even. Love your neighbor as you love yourself. I am the Lord. 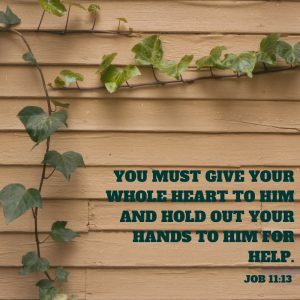 Job 11:13 NCV: You must give your whole heart to him and hold out your hands to him for help. 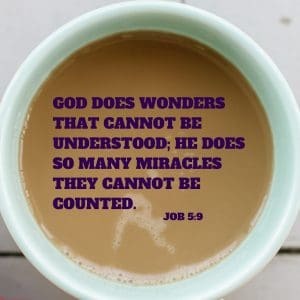 Job 5:9 NCV: God does wonders that cannot be understood; he does so many miracles they cannot be counted. 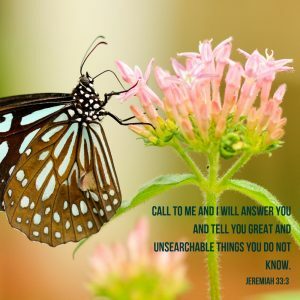 Jeremiah 33:3 NIV: Call to me and I will answer you and tell you great and unsearchable things you do not know. 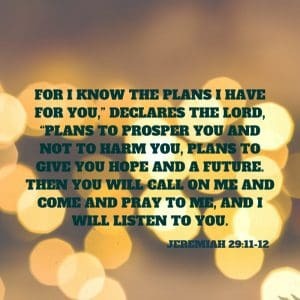 Jeremiah 29:11-12 NIV: For I know the plans I have for you,” declares the Lord, “plans to prosper you and not to harm you, plans to give you hope and a future. 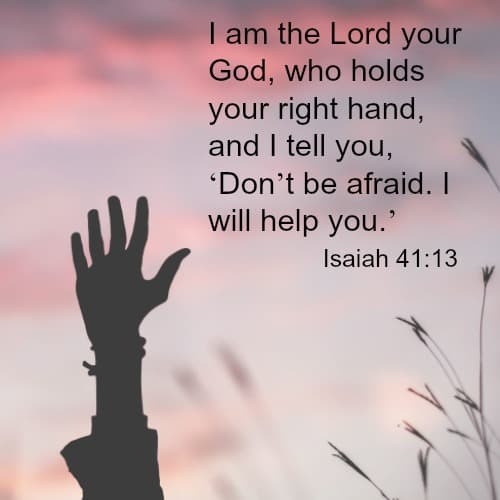 Then you will call on me and come and pray to me, and I will listen to you. 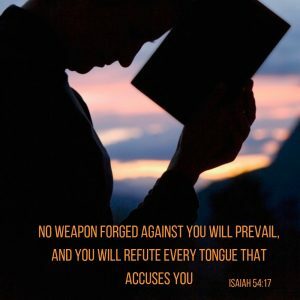 Isaiah 54:17 NIV: no weapon forged against you will prevail, and you will refute every tongue that accuses you. 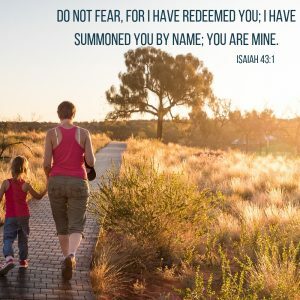 Isaiah 43:1 NIV: Do not fear, for I have redeemed you; I have summoned you by name; you are mine. 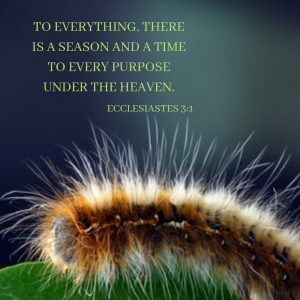 Ecclesiastes 3:1 NIV: To everything, there is a season and a time to every purpose under the heaven. Joshua 1:9 NIV: Have I not commanded you? Be strong and courageous. 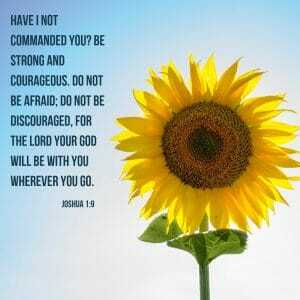 Do not be afraid; do not be discouraged, for the Lord your God will be with you wherever you go. 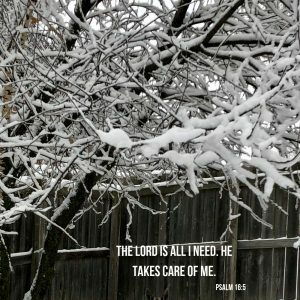 Psalm 16:5 NCV: No, the Lord is all I need. He takes care of me. Psalm 63:6 NIV: On my bed, I remember you; I think of you through the watches of the night. 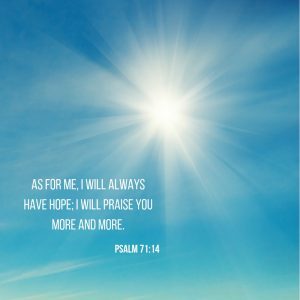 Psalm 71:14 CEVUS06: As for me, I will always have hope; I will praise you more and more. 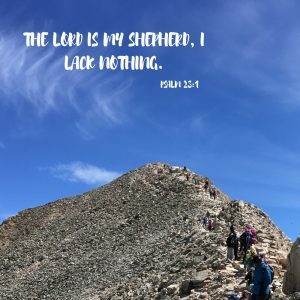 Psalm 23:1 NIV: The Lord is my shepherd, I lack nothing. 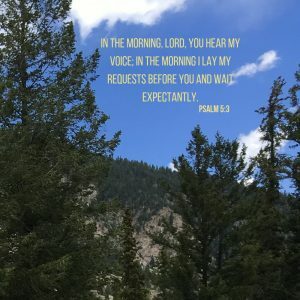 Psalm 5:3 NIV: In the morning, Lord, you hear my voice; in the morning I lay my requests before you and wait expectantly. 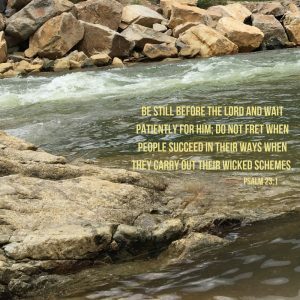 Psalm 37:7 NIV: Be still before the Lord and wait patiently for him; do not fret when people succeed in their ways when they carry out their wicked schemes. 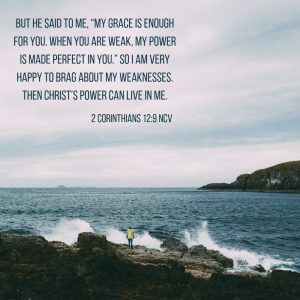 2 Corinthians 12:9 NCV: But he said to me, “My grace is enough for you. When you are weak, my power is made perfect in you.” So I am very happy to brag about my weaknesses. 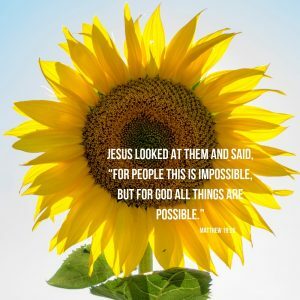 Then Christ’s power can live in me. 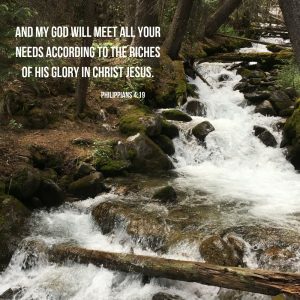 Philippians 4:19 NIV: And my God will meet all your needs according to the riches of his glory in Christ Jesus. 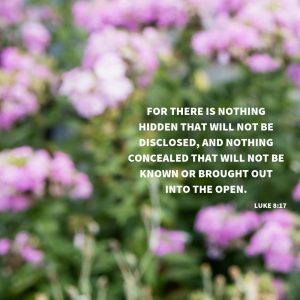 Luke 8:17 NIV: For there is nothing hidden that will not be disclosed, and nothing concealed that will not be known or brought out into the open. 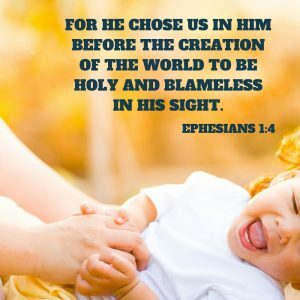 Ephesians 1:4 NIV: For he chose us in him before the creation of the world to be holy and blameless in his sight. 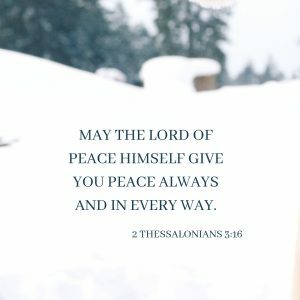 2 Thessalonians 3:16 NIV: May the Lord of peace Himself give you peace always and in every way. 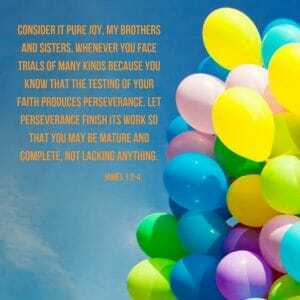 James 1:2-4 NIV: Consider it pure joy, my brothers and sisters, whenever you face trials of many kinds because you know that the testing of your faith produces perseverance. Let perseverance finish its work so that you may be mature and complete, not lacking anything. 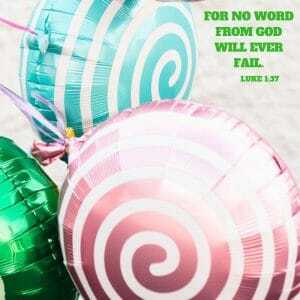 Luke 1:37 NIV: For no word from God will ever fail. 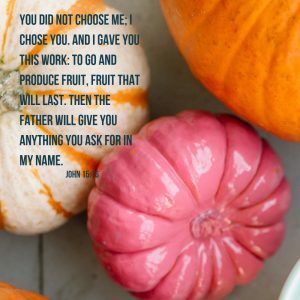 John 15:16 NCV: You did not choose me; I chose you. And I gave you this work: to go and produce fruit, fruit that will last. Then the Father will give you anything you ask for in my name. 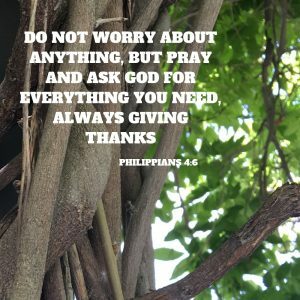 Philippians 4:6 NCV: Do not worry about anything, but pray and ask God for everything you need, always giving thanks. Matthew 11:28 NIV: Come to me, all you who are weary and burdened, and I will give you rest. 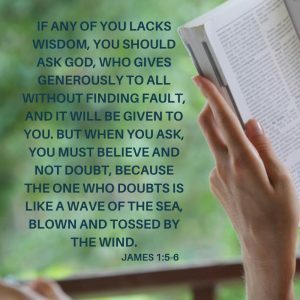 James 1:5-6 NIV: If any of you lacks wisdom, you should ask God, who gives generously to all without finding fault, and it will be given to you. But when you ask, you must believe and not doubt, because the one who doubts is like a wave of the sea, blown and tossed by the wind. 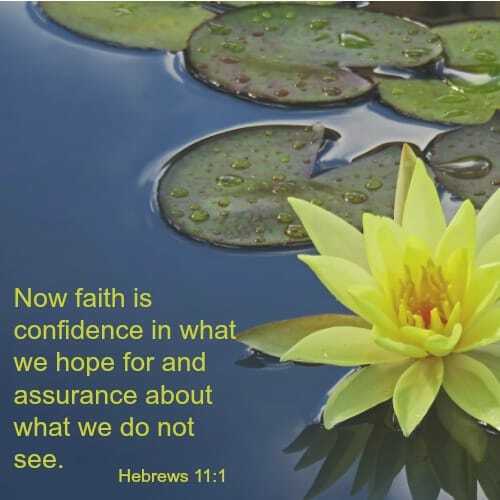 Hebrews 11:1 NIV: Now faith is confidence in what we hope for and assurance about what we do not see. Seven years from now, I’m curious to see which verses I’ll mark in my new little teal Bible. It’s interesting to think about how some verses stick with you all your life, and some help you through seasons. I’ve found staying in God’s Word has helped me keep going and stay positive. For me, sometimes “staying in God’s Word” means I’m not good at opening my Bible, but I have one verse I repeat in my head and heart. Don’t forget to download your printer-friendly version of all 30 scriptures.